White unicorn heads with blue, purple, and pink overlapping manes on a light blue background with purple and pink stars. 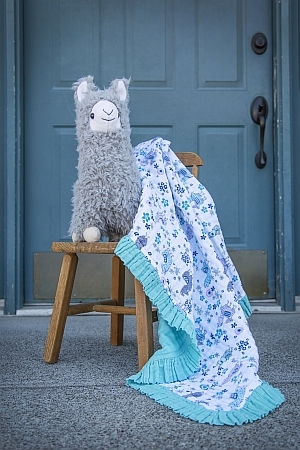 When there’s lots of babies to swaddle you need lots of adorable gauze! 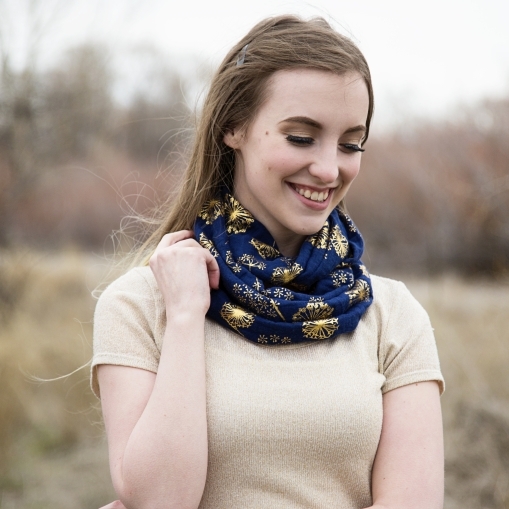 Embrace is a soft and sweet collection of gauze, full of colorful flowers, little dinosaurs, hearts, even nighttime prints with dabs of metallic. Oh my gauze, where to start?! 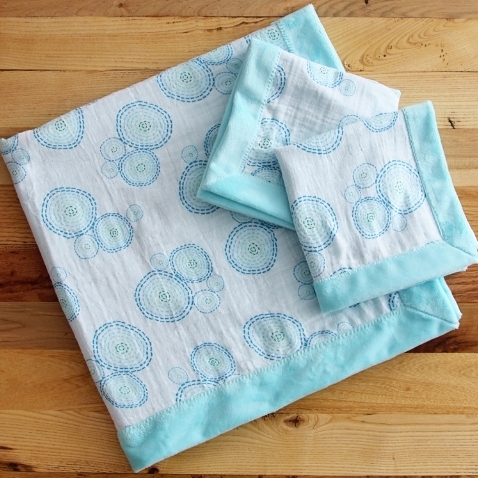 Embrace Double Gauze is a super soft and lightweight cotton fabric. This fabric is great for baby items such as swaddling blankets and carriage covers as well as children and adult apparel. Double gauze is two layers of gauze attached together to add a soft drapeable hand.